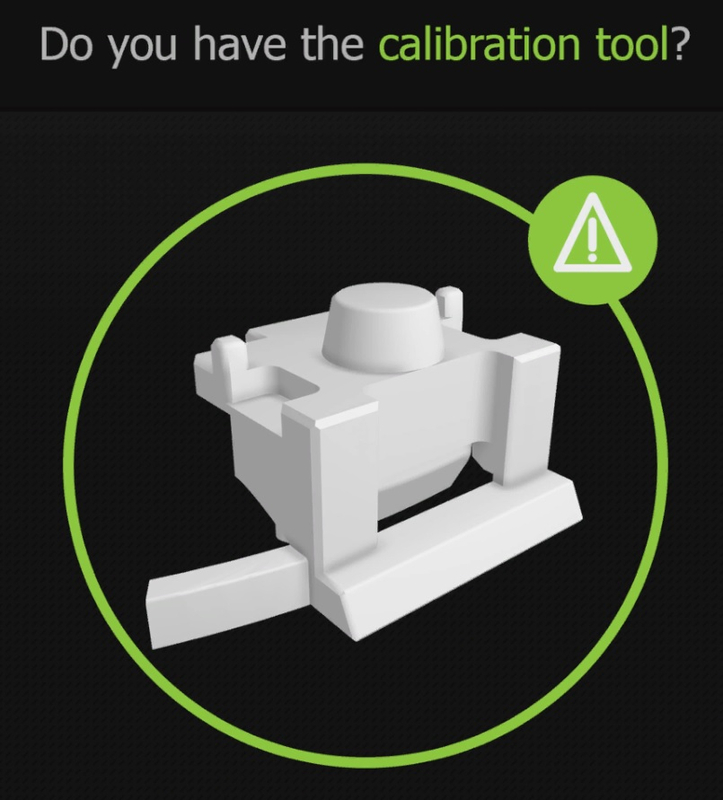 Calibration Tool Available for Purchase? What the heck is that? What's the scale on it ? I have no idea. When calibrating with the new calibration software this question is asked. Stuff like this worries me. I'm still months away from receiving my order, and I constantly consider cancelling but oh how I want one. EVOL, does life change significantly with the new firmware? The range of speed is vastly improved. I think the calibration software makes an improvement to decoupled turning also. Nice find. I didn't even try clicking yes. I can see now how the controller goes on the calibration tool but where it is suppose to go on the OMNI isn't clear. I just held mine in the approximate position. I wonder if Virtuix will release a CAD file so we can go have this made or if they're going to sell it. Probably not hard to reverse engineer... Any idea why there is a warning sign on the right picture on the calibration pad vs the Checkbox on the left side?